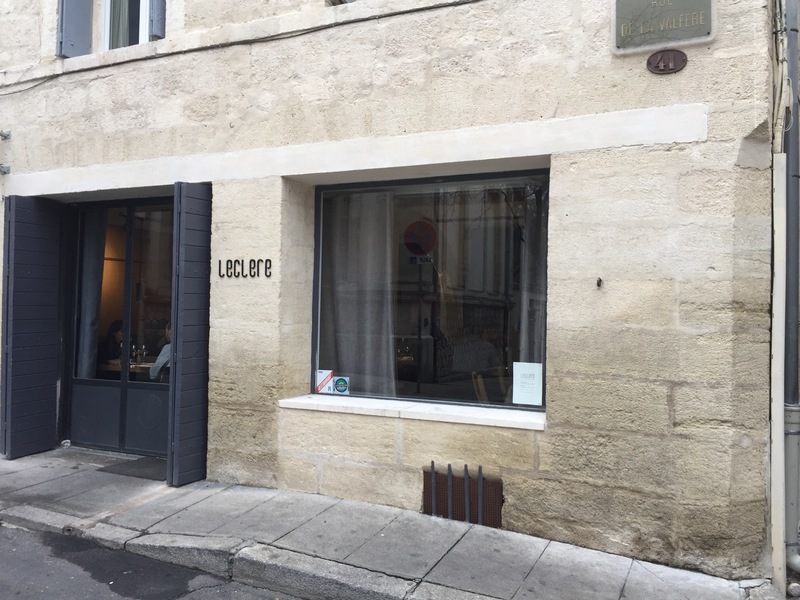 Restaurant Leclere, Montpellier – A TAVOLA ! We just arrived in my home town of Montpellier for a week to celebrate Christmas in family. And we are of to a very solid start from a food perspective. 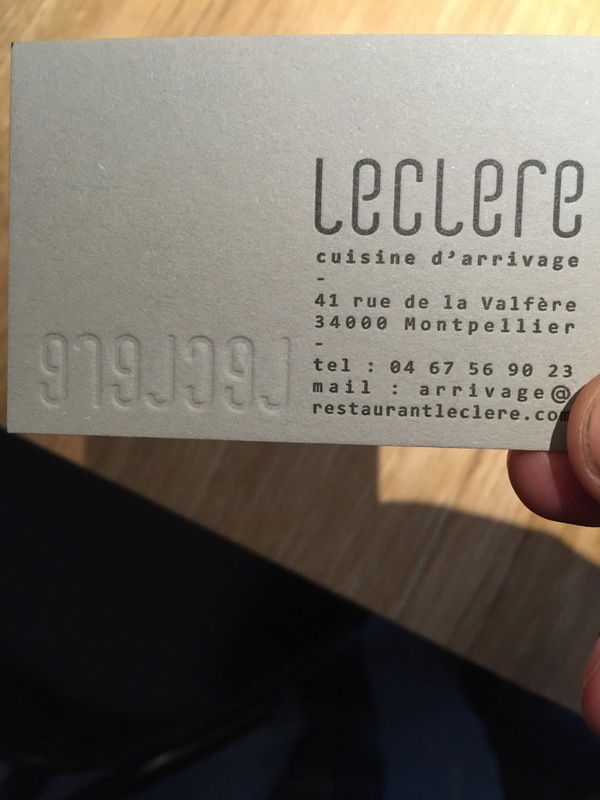 An excellent lunch at the newly opened restaurant LECLERE. 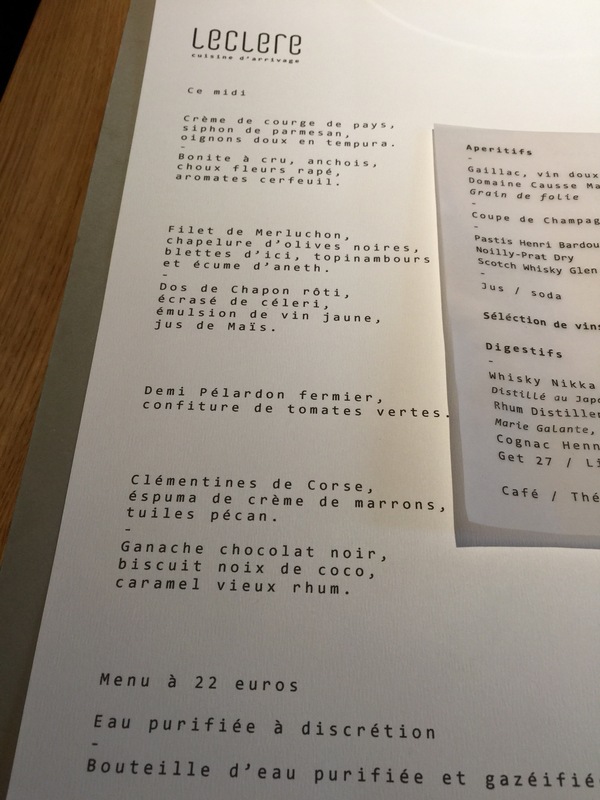 The menu is set at an unbeatable 22€ for three courses. Wines by the glass at 5€. The starters were our favorite. 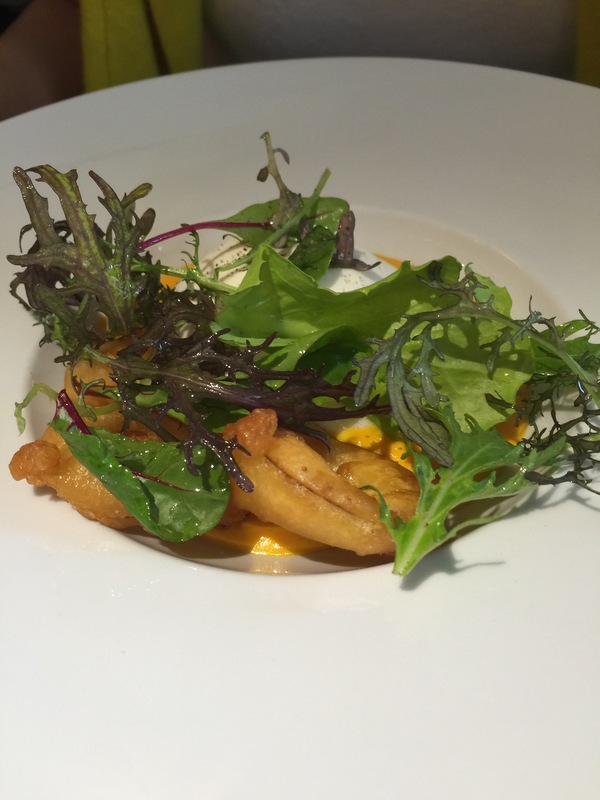 Carolina had “crème de courge de pays, siphon de parmesan, oignons doux en tempura”. She said it was damn good ! And I have all reasons to believe her. 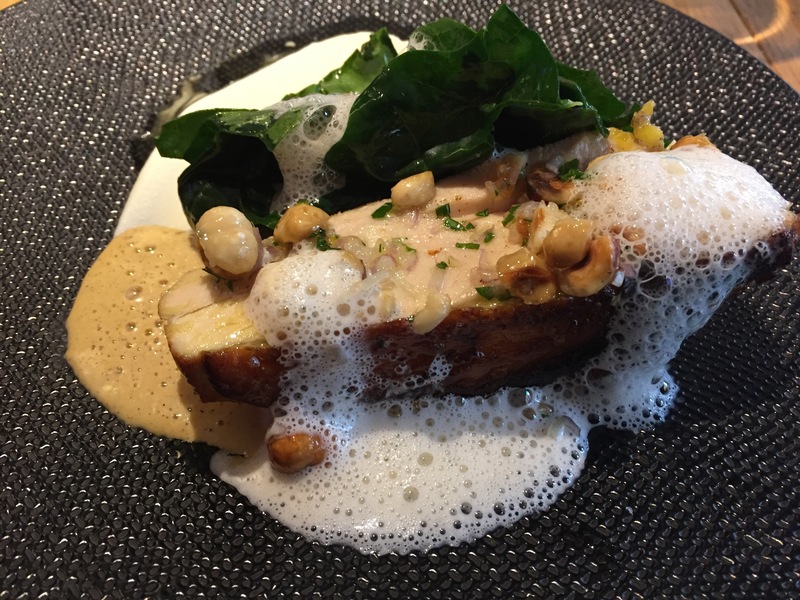 Mine, “Bonite à cru, anchois, choux fleur rapé, aromates cerfeuil”, was superb. 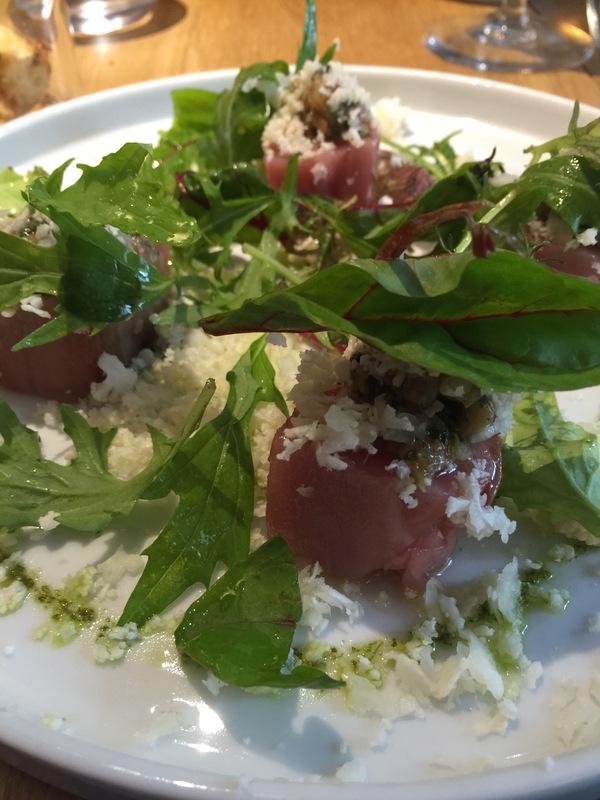 The bonite ( a smaller version of tuna ) served raw reaches the Everest of freshness ! We then both had the “chapon”, a large chicken usually served around Christmas. Perfectly cooked. Accompanied by celery purée and a couple of spinach leaves. The whole lot reduced using a white wine. Un délice !! For dessert the ” Ganache chocolat noir” has been our favorite. All in all an excellent experience for a very reasonable 56 € bill. Really proud of my hometown ! Go discover Montpellier and its food gems.